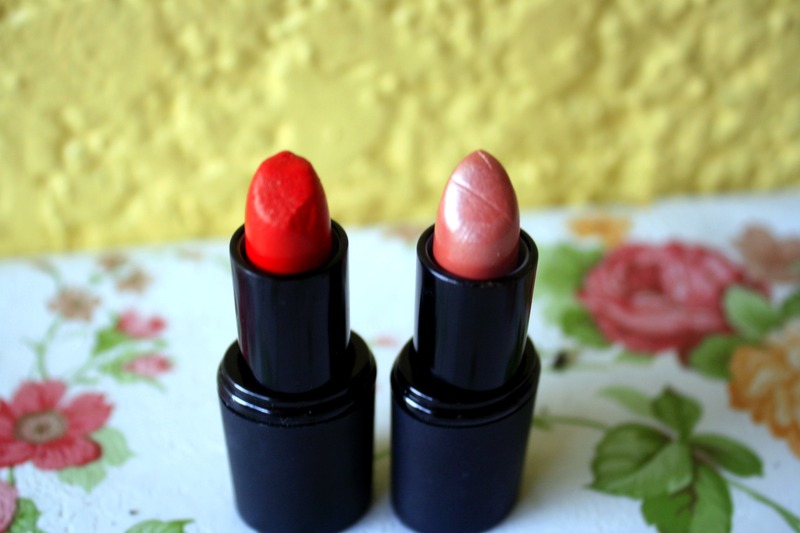 The first thing that struck me as I first tried on my lipsticks and pout polishes from Sleek was their delicious smells! All had this candy, sugary scent that made me want to gobble them up! Add to that the pretty colors that looked just as edible! 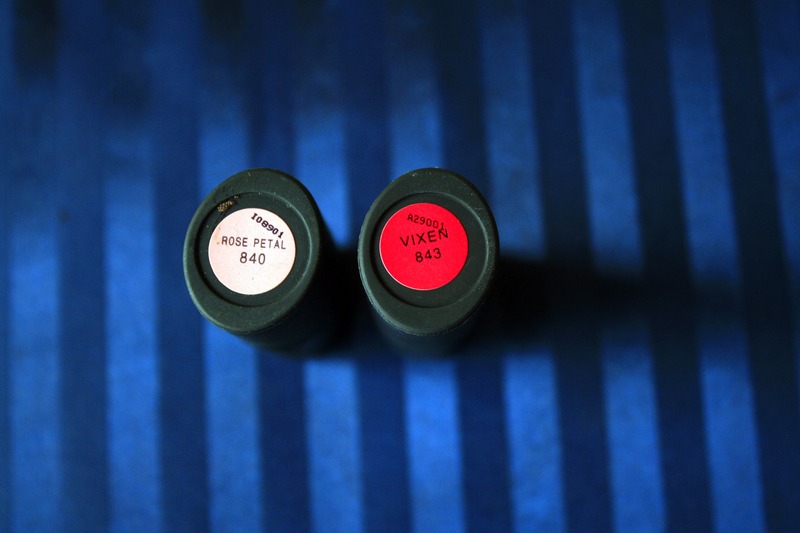 For my Sleek haul, I chose these two colors: Rose Petal (below right) and Vixen (below left). There were more exciting colors from the collection like various shades of purple, white, and black but I decided to be safe for my first buy. I don’t think I’d be wearing purple everyday, anyway. I like these lipsticks so much. 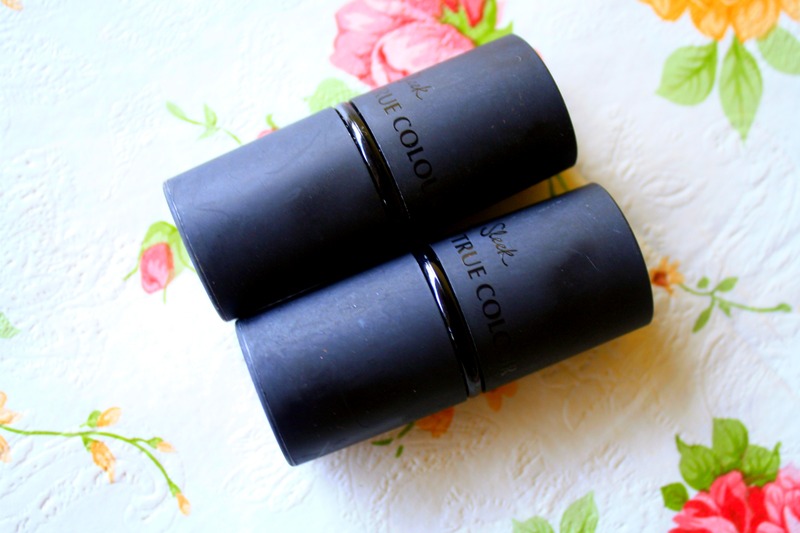 They are called True Color lipsticks and they nailed it with the name. What you see will be what you get. Vixen, for instance, is as bright red as it looks. And the thing I like best about it is it’s not matte but not shiny either. It has just the right amount of moisture to let it glide on smoothly yet still keep its rich pigment. Rose Petal, on the other hand, is a soft, satin pink with a bit of shimmer in it. There is such depth to this color that I can’t possibly claim to describe it well. Then I have my pout polishes! 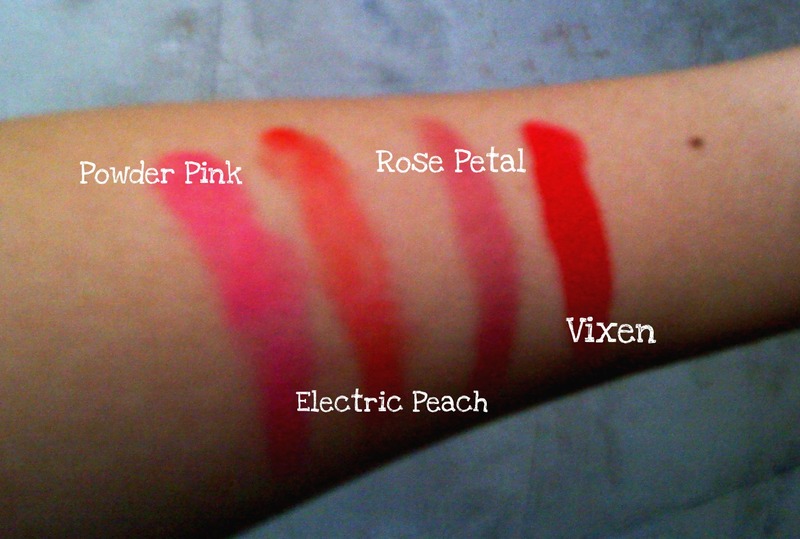 These are similar to lip glosses in texture and transparency but packaged differently. 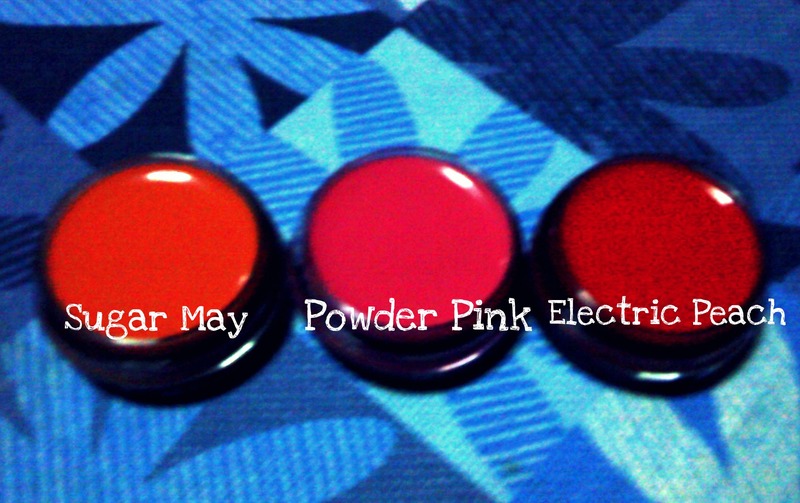 These are perfect in terms of providing a bit of color and at the same time, some moisture to the lips. Again, these smell absolutely lovely! Too bad that today, I lost my Sugar May pot so I couldn’t do a swatch of it. Thank goodness I was able to take a photo previously of me wearing it. To put it simply, Sugar May is a coral, peachy color. Powder pink is what you’d imagine Barbie pink would be. 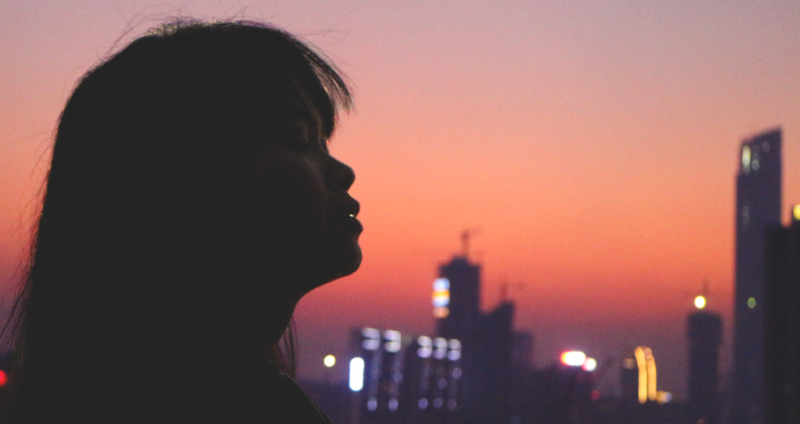 While Electric peach is a stronger orangey, peach color than Sugar May. Still upset that I lost Sugar May. 😦 Hopefully, it will turn up one of these days. Fingers crossed!